Quiet, peaceful hideaway by the Waikato river A. Fully self-contained 2 bedroom unit complete with wood burner or electric heater for those brisk Taupo winters. Peaceful sheltered surroundings, relaxing environment, all you need for a great breakaway from a busy life. There are views of the Waikato River and walking/bike tracks nearby that lead to Spa Park where the adventure begins. Linen is optional and will only be provided if, at the time of the initial booking, you request to hire our linen and towels. Duvets, pillows and extra blankets will be provided. If you opt to provide your own linen, (sheets, pillow cases and towels) please honor this and use linen on all the beds required, If you don't use linen and just use our bedding then you risk negative feedback. Town centre and lake front, 10 minute, mountainbike trails, hot pools, Spa park, golf course. The mighty Waikato River flows past the property providing a spectacular view. Wood burner OR Electric heating. For Sky please provide your own decoder. A selection available which will change as more titles added. A shared common grassed area, fully fenced. 2 x 18 hole Courses within a 5 min drive. A 9 Hole course within 10 min drive. Very clean. Lovely spot. Great facilities. A great weekend retreat. Would recommend. Great location and well equipped home. We never tire of returning to these wonderful cottages. We never tire of returning to these wonderful cottages. Great location, peaceful surroundings, always clean and tidy and has everything you need for a most pleasant stay. Kids love it and we cant wait to return for our fifth visit. Great place, good location and lovely views. 1) Adjacent to the property is a developed mountain bike track which link to an extensive track system which has various graded tracks for you to enjoy, you can ride all day and not cover the same ground. 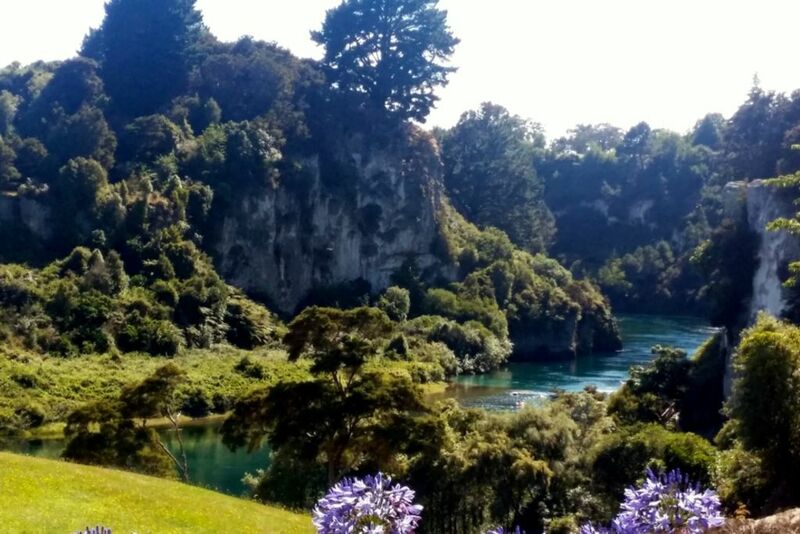 2) A popular activity within 15mins walk is the "Hot Spot" a natural thermal water stream flowing into the Mighty Waikato River which runs past the property. Upon arrival by a short walk or car ride you will find multiple natural pools formed in the stream in which you can soak in the warm water and enjoy the natural surroundings.